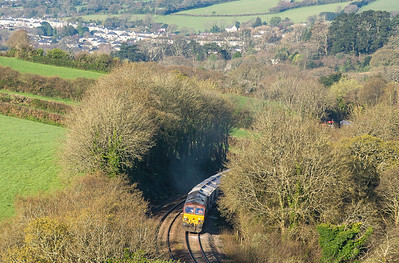 070415 After delivering its errant HST coach to Laira.....57502 heads back west on the 5Z79 1640 Laira-Penzance passing Respryn. 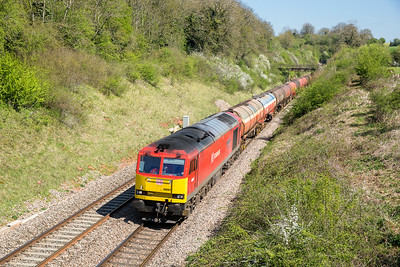 080415 Another shot that says clay country....66092 is caught on the main going over Gover viaduct. 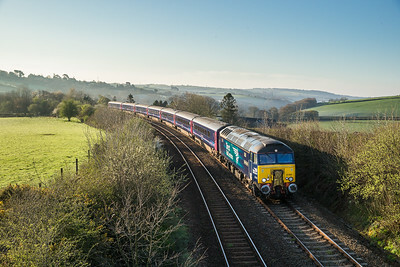 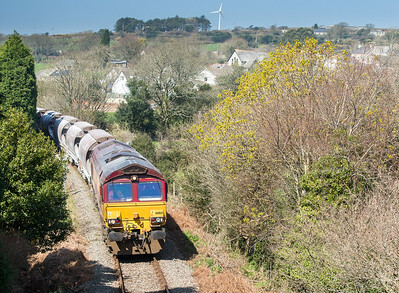 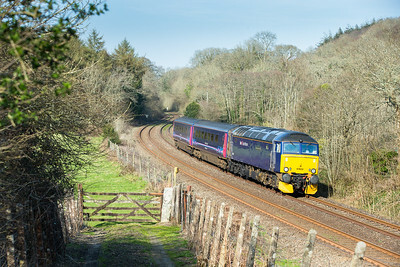 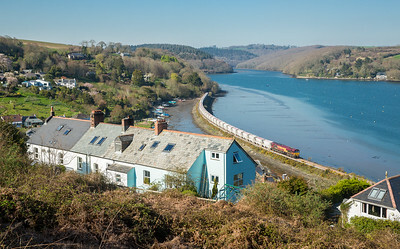 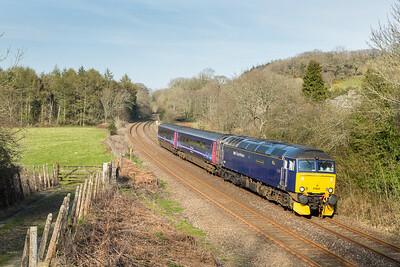 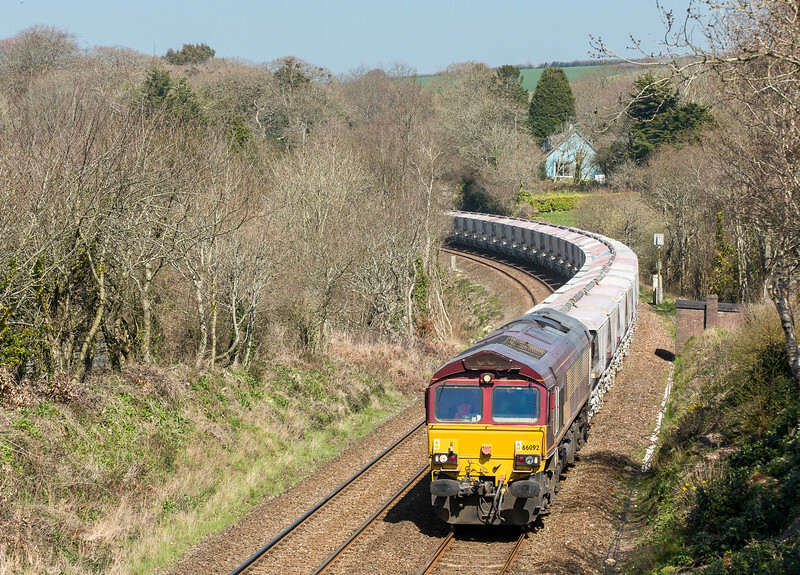 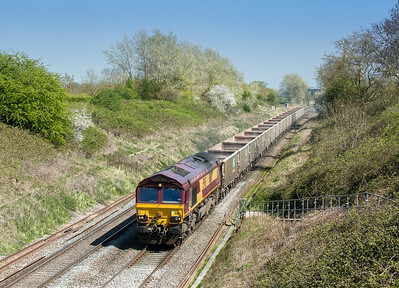 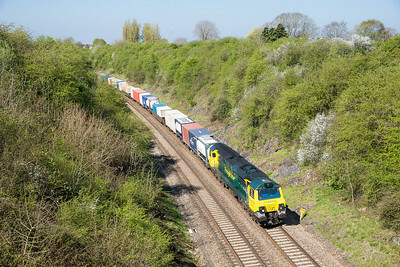 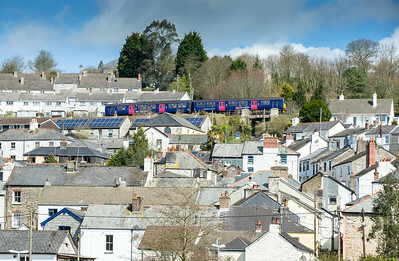 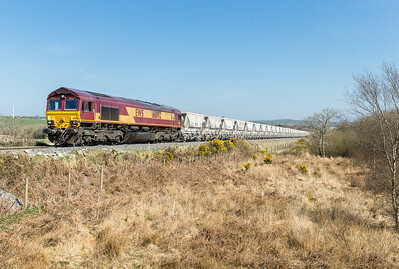 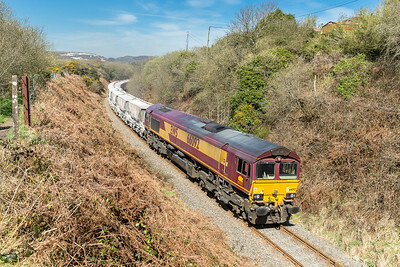 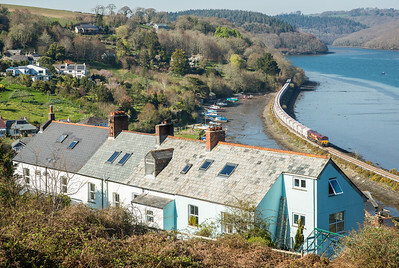 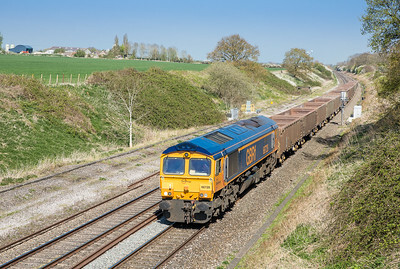 200415 Working hard out of Par,66092 heads into the morning sun en route to Fowey. 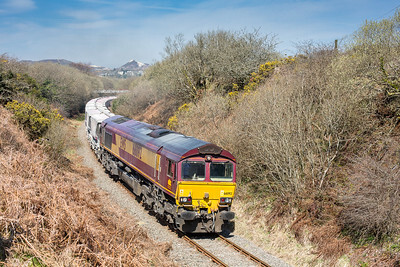 070415 The assistant mans the tripod..... 57502 on the 5Z79 1640 Laira-Penzance pass Respryn. 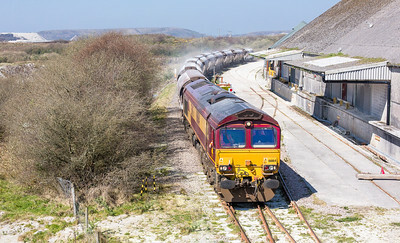 Well over a decade since I have got a loco at this location. 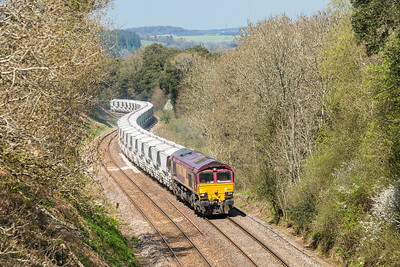 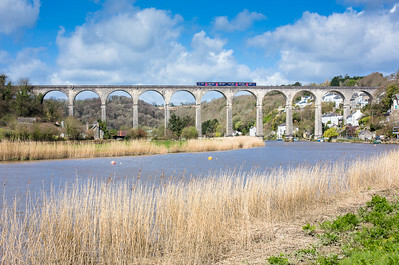 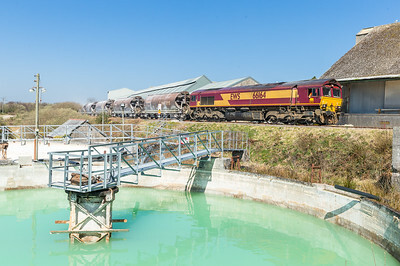 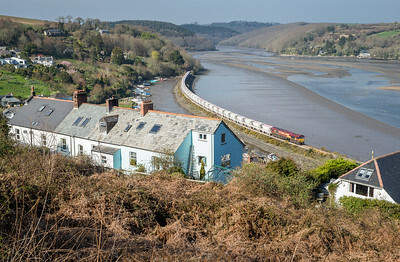 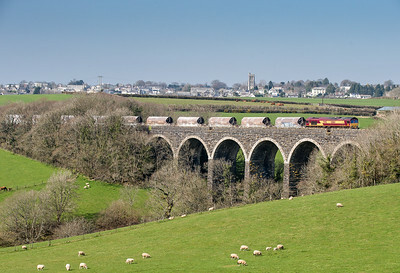 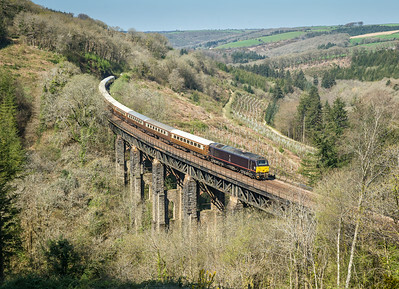 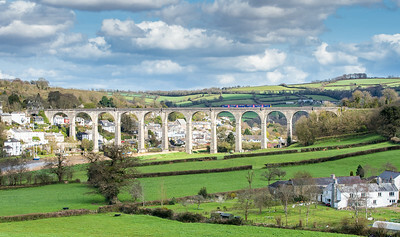 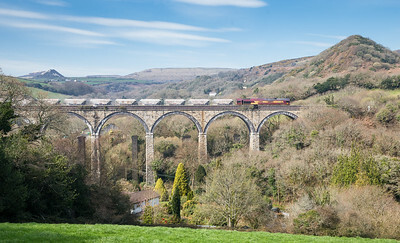 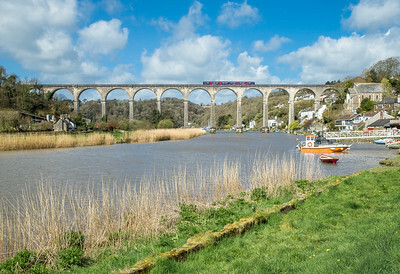 090415 The last shot of our Cornish "freight fest" day....... With Liskeard as a backdrop,66164 heads over Bolitho Viaduct with the 6C53 ThO 15:06 St.Blazey-Exeter Riverside.These were the JIA's loaded at Par yesterday.The ones from Treviscoe will go up later in the evening. 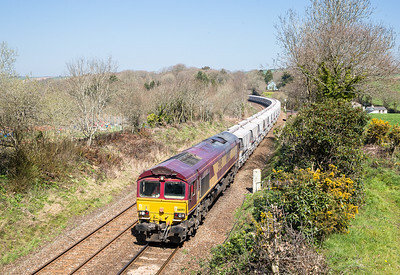 190415 It may only be a skip but it still looks good... 67006 crosses Largin viaduct with the 1Z76 10:10 Penzance to Leeds "The Cornish Riviera Statesman.Nice to see you Andy.